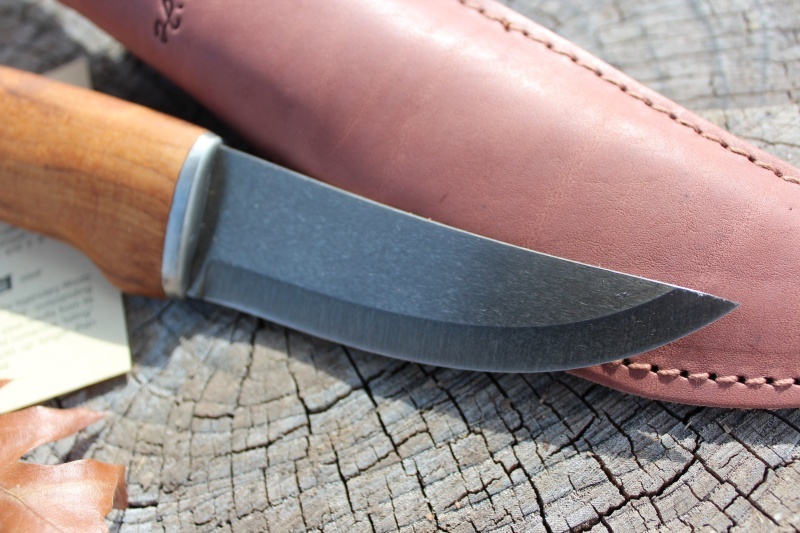 Great knife, with unique UHC steel. 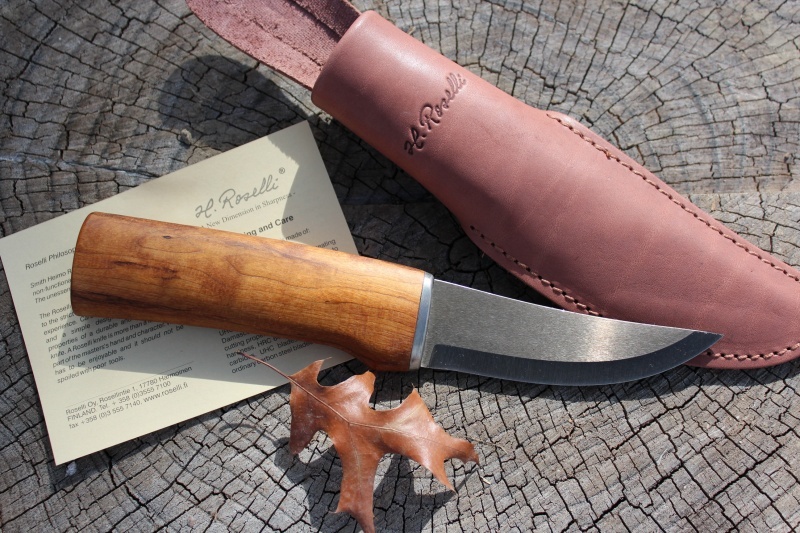 Traditional upswept blade and ample birch handle makes for a superb outdoors or hunting knife. The steel is hard!! (64HRC!! ), great edge holding and the knife is comfortable and strong. Scandi grind. UHC-steel holds its edge longer. 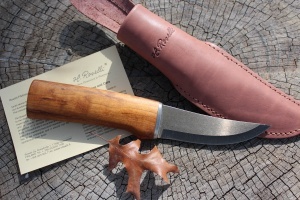 The handles of UHC-knives are made of birch, kiln dried and stained, to ensure a good grip. 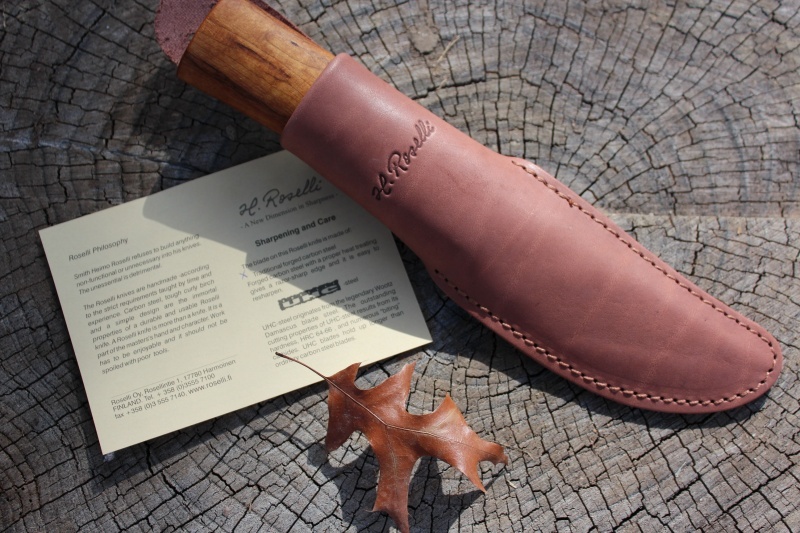 A strongly constructed leather stealth is a feature of each Roselli knife. 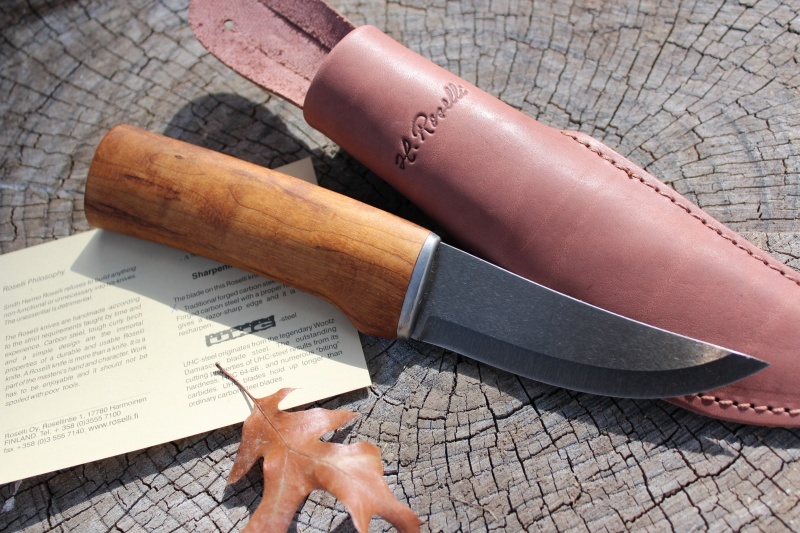 Purchase through PayPal by using the "Add To Cart" button above or use the form below to order the Roselli Ultra High Carbon Hunting Knife . 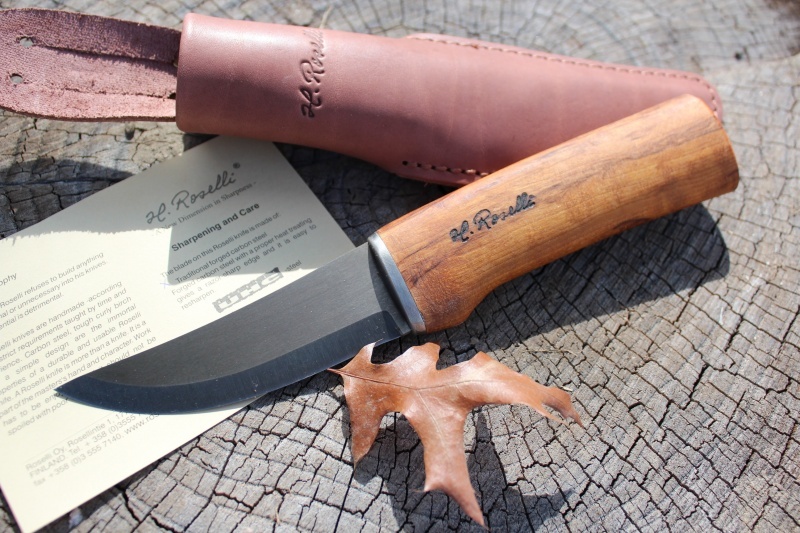 Feel free to contact us if you have any questions about the Roselli Ultra High Carbon Hunting Knife .